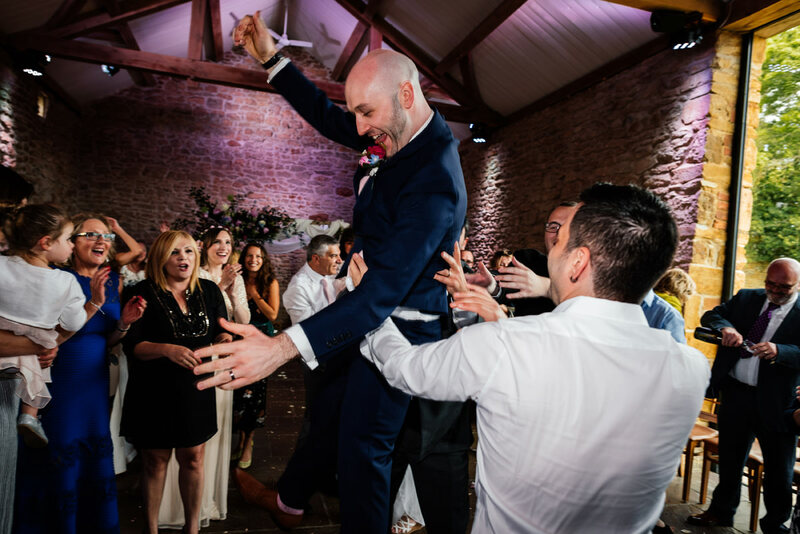 Miri & Danny’s Jewish Fusion Wedding at Dodford Manor was one of my favourite weddings of 2017. I’ve been looking forward to blogging it for a while. In truth I should have blogged it a long time ago. Their wedding day was fabulous! Full of colour (check out those stunning floral bouquets), fun, laughter, jewish dancing, popcorn and candy floss. When I met these guys for their consultation I really got a sense that they were going to be putting on an awesome wedding day so was super excited when they asked me to photograph it for them. I’d been fortunate enough to previously be a second shooter at a couple of Jewish weddings and so I was ready for a frantic, fast paced and energetic day. Miri & Danny’s day didn’t disappoint one bit. 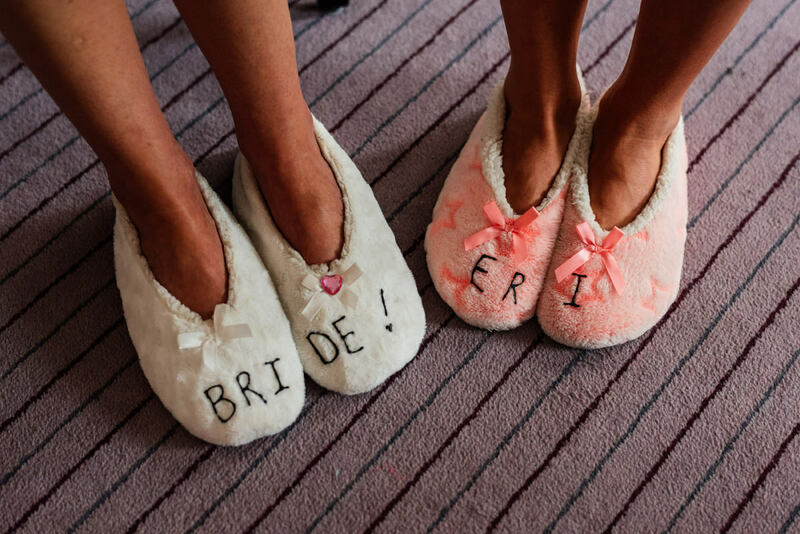 Rather than the day being a full traditional jewish wedding they wanted to do a fusion of both Miri and Danny’s family backgrounds and interests. 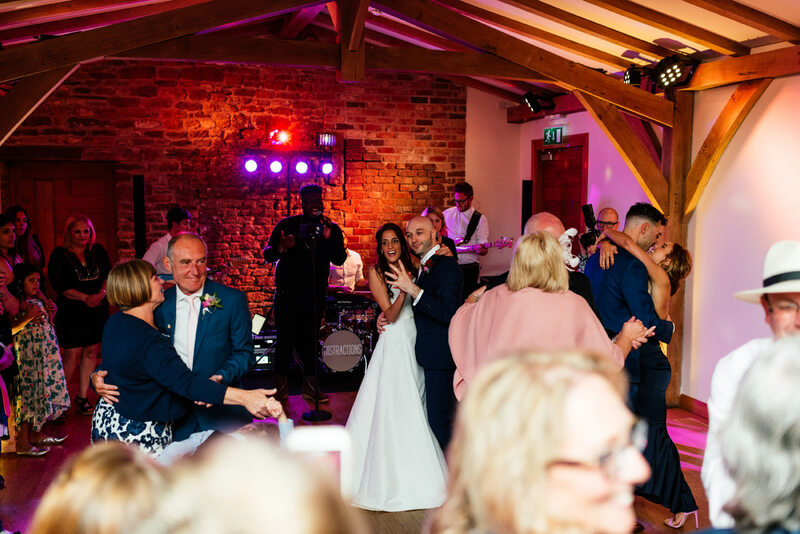 The ceremony took place within the main barn at Dodford Manor, complete with an incredibly ornate and colourful chuppah. As a complete surprise to the bride and groom Miri’s grandmother stepped up to give a reading. Once Danny had smashed the glass everyone was invited outside for drinks and canapés (mini hamburgers were insane!) along with popcorn and candy floss. One of the jewish wedding elements I was most looking forward to was the dancing. 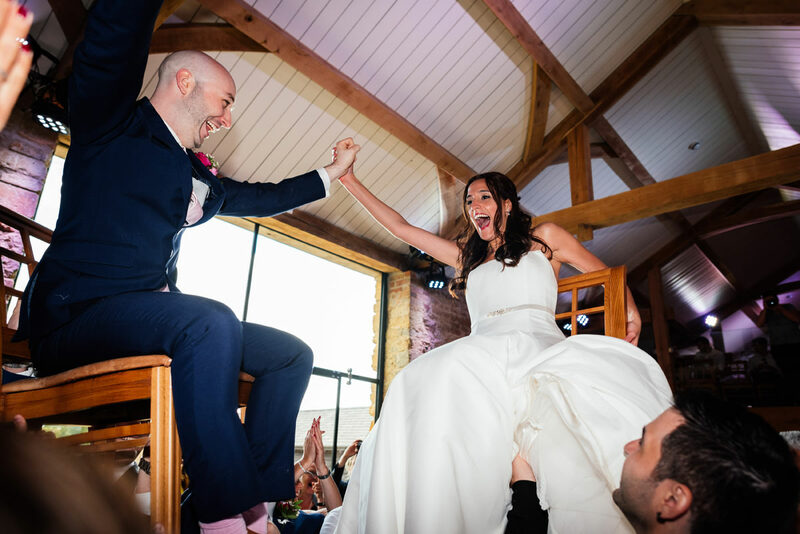 A fast paced, energetic, loud and frantic part of the afternoon with both Miri and Danny being elevated up high on chairs and thrown about… its a wonder there weren’t any injuries! Once everyone had recovered it was time for the wedding breakfast and speeches. The speeches were hilarious… and Danny’s speech was all thanks to Barry! ‘You had to be there’ to appreciate the reference to Barry. Danny did do his own speech and everyone was in stitches! The day was rounded off by some epic dancing soundtracked by the equally epic band The Distractions. I’ve chatted for far too long so, so go and feast your eyes on the delights below! Like what you’ve just seen? 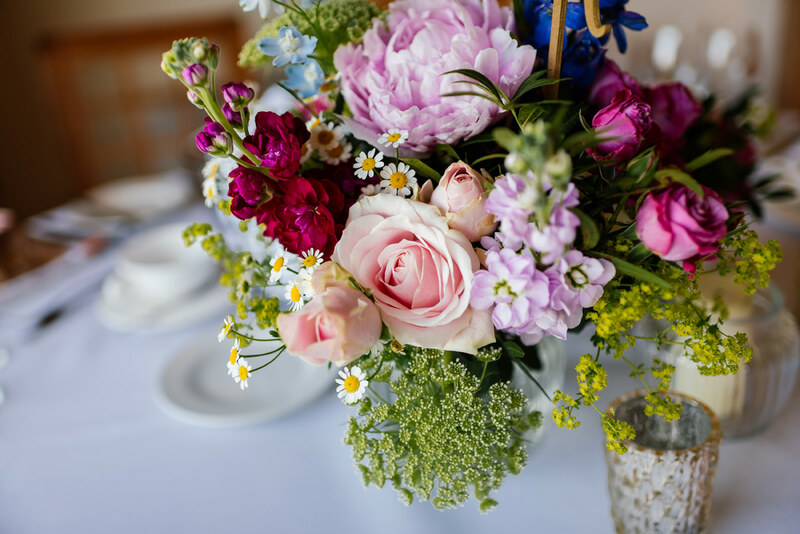 If you’re planning your own Jewish Fusion wedding or any type of wedding for that matter then do get in touch via my contact page and lets chat. In the meantime feast your eyes on the delights below! 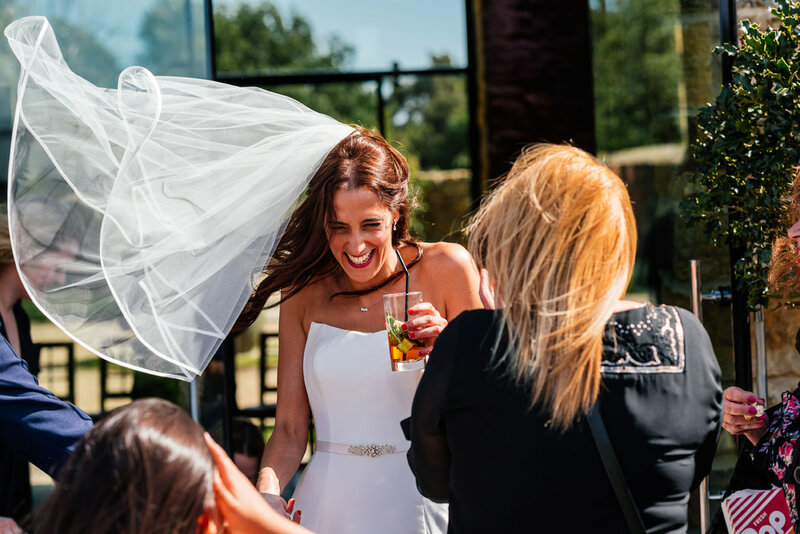 This entry was posted in Weddings and tagged Dodford Manor, Jewish Fusion Wedding, Jewish Wedding, Northamptonshire, Northamptonshire Wedding Photographer. Bookmark the permalink.